Colombo airport being in fact closer to the small town of Negombo than to Colombo, that’s where we decided to start our Sri Lankan trip. 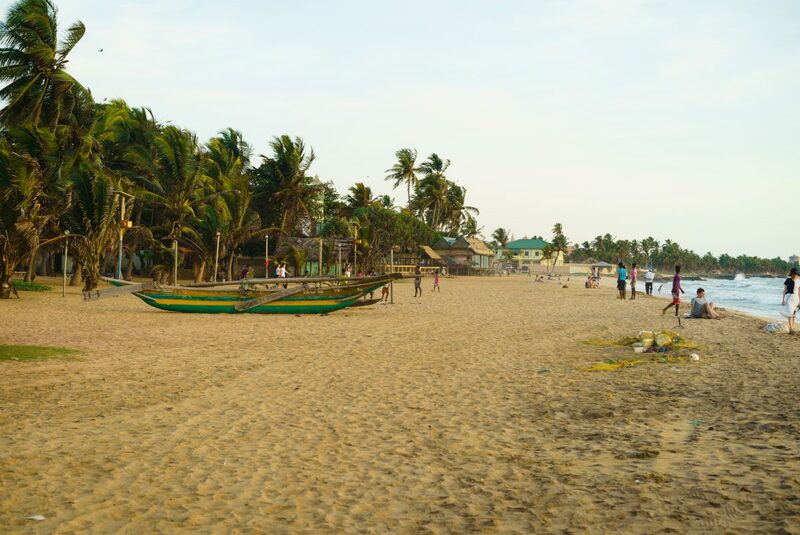 Negombo is known to be a fishermen town and there is not much to do there apart from enjoying some time at the beach. We spent one day there and it was a great starting point to discover the local culture and food. How to get there: We flew to Negombo from Krabi, Thailand and had arranged a pick-up at the airport with the guesthouse we had booked since we flew in pretty late. Where we stayed: For our first night, we had booked a room at the Olive Tree Guest House and we don’t recommend it. We had been in touch with a lovely English-speaking lady before arriving, but we never met her. The person that was supposed to pick us up at the airport arrived 1h30 late while we were receiving emails saying he was there (he was obviously not and didn’t even know that our flight was a bit late too). We arrived in a house where the shared bathroom was very dirty, our room didn’t have a lock and it seemed like the other guests were coming and going and had a key to the house. In the morning, we only met a woman that didn’t speak English and served us very basic breakfast. We didn’t feel comfortable and booked another room for our second night. The Star Beach Hotel, for 33 usd a night, was much nicer, well located, right on the beach and the staff was very helpful. 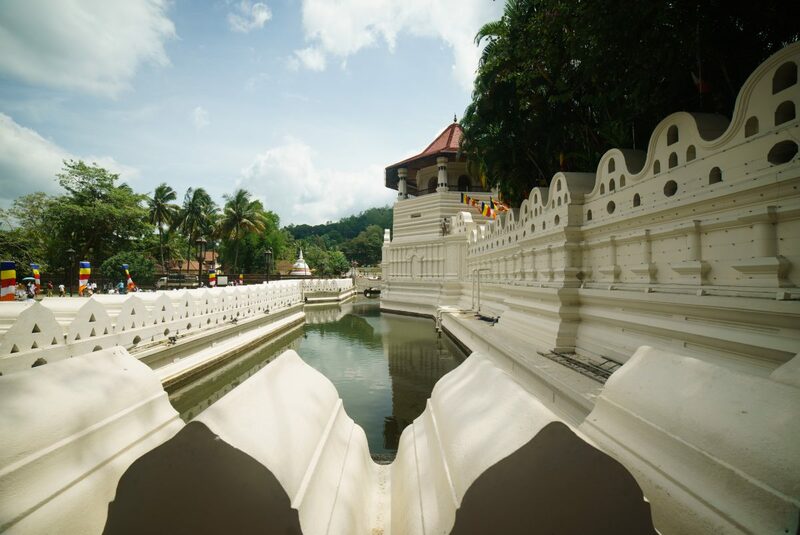 Kandy is one the few big cities of Sri Lanka and we didn’t want to miss what it has to offer culture wise. With barely three weeks in the country though, big cities were not our priority. We had only one full day in Kandy and made the most of it. How to get there: Buses and trains are often available to go from one city to another in Sri Lanka. 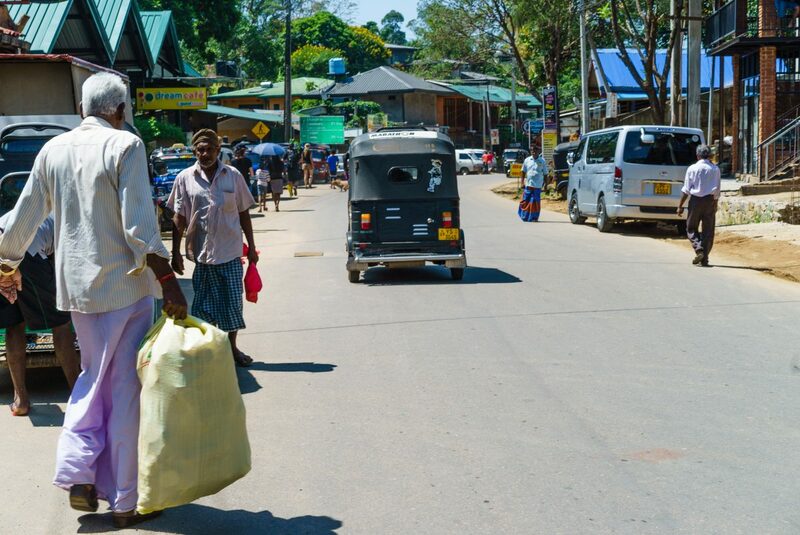 As we were approaching the end of our 6-month trip, we were pretty tired and decided to arrange a taxi to drive us to our hotel in Kandy thanks to the help from the staff in our hotel in Negombo. The drive took about 2h30 and we really had a great time with the driver. He was happy to tell us about his country and would even stop on the way to get us fresh coconuts or for us to see an elephant closely. Totally worth the $65. Where we stayed: We booked two nights at the Victory Hotel Kandy for 50 usd per night, which we liked enough and was very well located in the city, just a short stroll away from the temple of the tooth and the lake area. Ella is by far our favourite Sri Lankan destination. We loved its cool weather, lush greenery and peacefulness. It is very touristic, but well worth a visit. How to get there: The train is the most popular means of transportation both for locals and visitors in Sri Lanka. 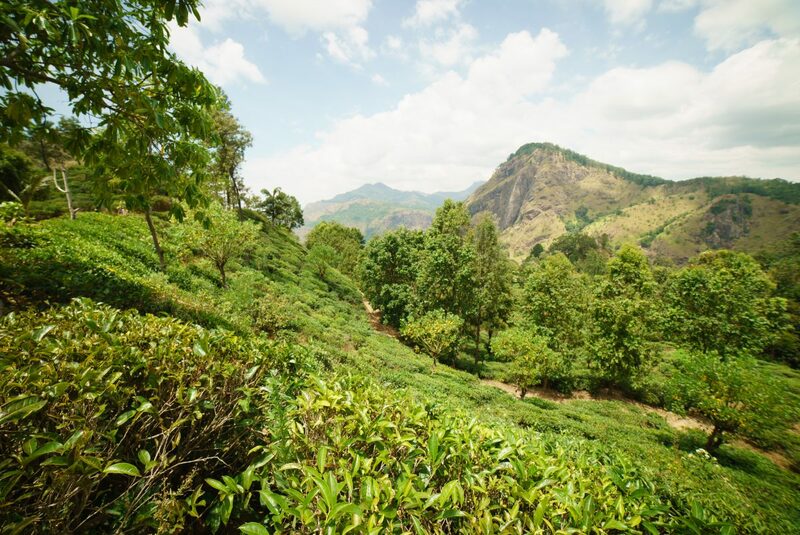 The ride from Kandy to Ella through hills and tea plantations is particularly famous for the gorgeous scenery it offers. It takes about 7 hours and a half and costs only 250 LKR (about 1.6 USD) per person. Where we stayed: We highly recommend the Villa Eden Paradise, for 37 usd per night . It was definitely one of the most peaceful places we have ever stayed at. The owner is great too and we got along well with him. 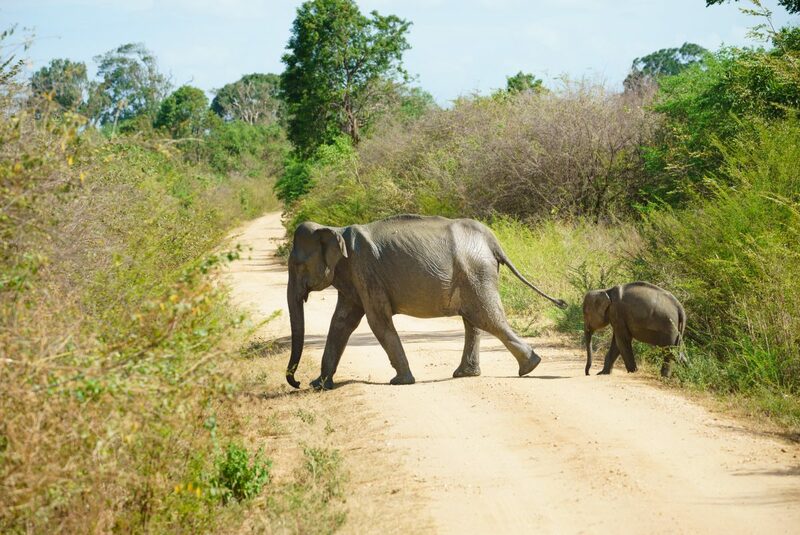 Before starting our research to come up with an itinerary in Sri Lanka, we had no idea that safaris were a thing in the country. It counts several national parks and two of them seemed like they could have fit in our itinerary: Udawalawe and Yala. We decide to go to the smallest and least visited of the two, Udawalawe. How to get there: We bonded with our host in Ella and had him drive us to Udawalawe at the end of our stay. We paid about 35 USD, cheaper than a regular taxi (but way more than the bus or train). Where we stayed: We stayed at the Mansala Safari House for 22 usd per night, where we were nicely welcomed in a correct room. We also recommend the food there. 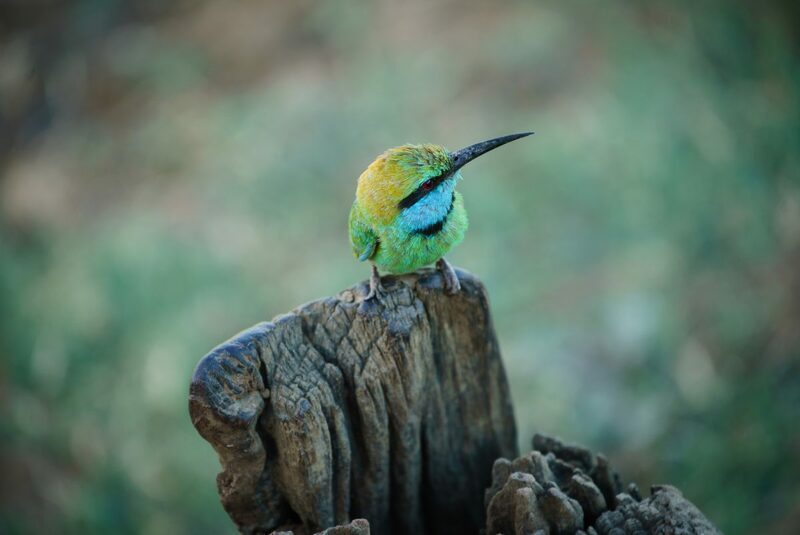 We spent two nights there so that we would be able to fully enjoy our safari without being in a rush, but it is completely realistic to arrive in the morning for the safari and leave to your next stop on the same day. We couldn’t leave Sri Lanka without spending a few days on the seaside. 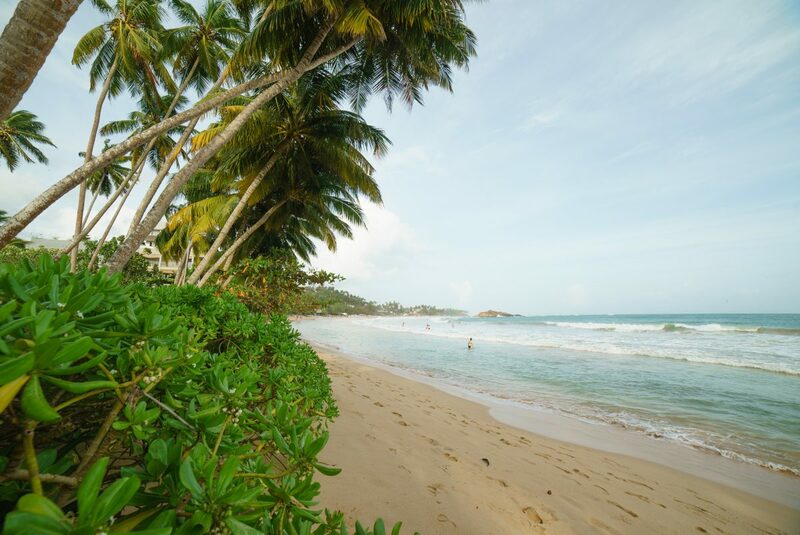 We chose Mirissa, a small and quaint town with a pretty beach where we had a very relaxing time. How to get there: We took the bus for a couple of dollars each from Udawalawe to Mirissa and it couldn’t have been easier. The stop was right in front of our guest house and the owner even waited for the bus with us. The driver was nice enough to let us know when we arrived in Mirissa so we wouldn’t miss our stop. Where we stayed: We booked a room at the Sea Zone Resort guest house (31 usd per night). Don’t let yourself fooled by the name, it is really a guest house and not a resort. We were only a few steps away from the beach and the owner’s son, who owned a tuk tuk, often offered to drive us places for a fee. We took the opportunity to go visit a tea estate. 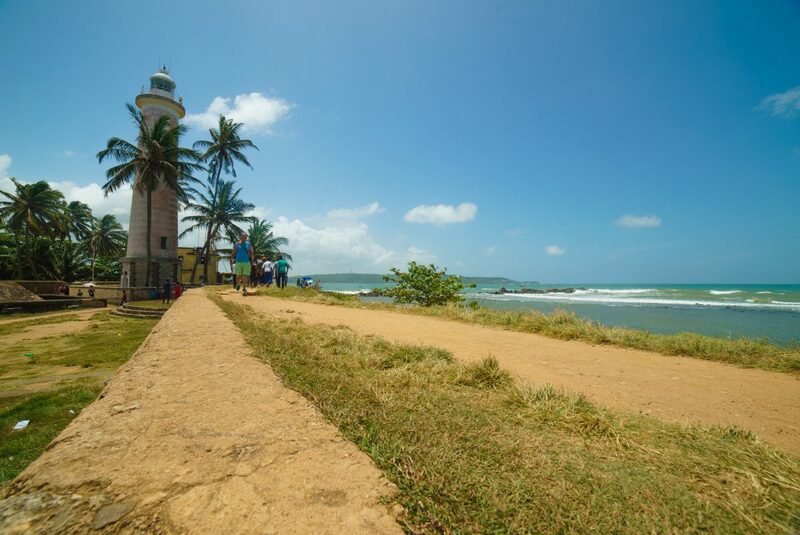 Galle is mainly famous for its fortified old town, symbol for the colonial era. The fort was first built in the 16th century by the Portuguese and reinforced in the 17th and 18th centuries when the Dutch took over. Today, it is considered a bridge between European and Asian cultures and is recognised as a UNESCO World Heritage site. It didn’t take us long to fall in love with it. How to get there: we took a train from Mirissa. The ride is not as scenic as between Kandy and Ella but still pretty. Where we stayed: Accommodations within the fort are expensive so we decided to stay a bit farther away, at the Galle Centre Home (21 usd per night) located a short tuk tuk ride away. After talking about it with other travellers, we decided that we didn’t want to spend time in Colombo. We only spent a night there before flying out of the country. We don’t have much to recommend there but the train ride along the coast from Galle is worth it and offers pretty views. 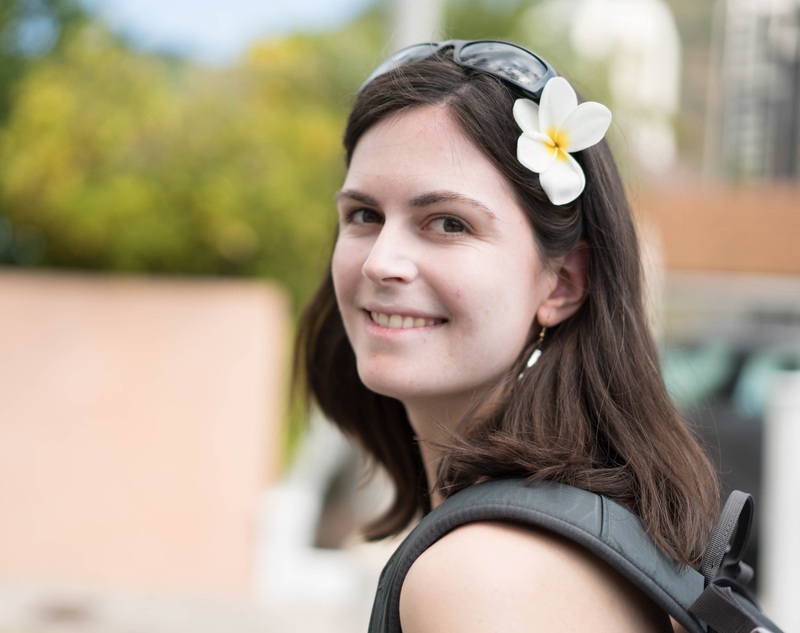 From what we saw in three weeks, that went by way too fast, Sri Lanka only made me want to go again and spend more time with awesome people and exploring beautiful places. Note: there are affiliate links in this post, meaning we get a small commission if you place an order on the website through one of the links but to no extra cost for you.